Oak Ridge National Laboratory and Alcoa Inc. are going to get to know each other a little better as part of a new Department of Energy pilot program called Technologist in Residence. The intent of the program is to improve working relationships between DOE’s national labs and private-sector companies and gain more “high-impact” research through the collaborations. 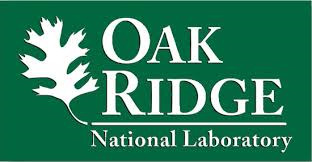 As part of the program, there will be personnel exchanges, with a couple of ORNL staffers working at Alcoa and at least one Alcoa staff member spending time at ORNL’s Manufacturing Demonstration Facility. “It’s really about learning about one another,” ORNL Director Thom Mason said in a brief interview earlier this week at Industry Day. Mason said it’s important for national labs to learn what kinds of problems are facing American industry so that the labs can help solve them, and the industrial partners need to know more about what tools and capabilities and new materials are available at the labs. “We need to have a pretty-intense dialogue back and forth at the end to have the right kind of strategic partnership where our capabilities are applied to problems that really make a difference,” he said. This program is just getting started, and Alcoa is ORNL’s first partner. Others pairings in the pilot program include Los Alamos National Laboratory and Procter & Gamble, the National Renewable Energy Laboratory and Hewlett-Packard, Argonne National Laboratory and Capstone Turbine Corp., and Pacific Northwest National Laboratory and Tesla Motors. Each pairing received $2.6 million from DOE. This entry was posted in DOE HQ, ORNL on September 24, 2015 by Frank Munger.